looks quite tight down the drive.Will you be able to turn after exiting the garage to drive out forward?Assuming you don't back in of course. The garage is 7 metres behind the back of the house, which *should* give me plenty of room to manoeuvre the car about. Above all, it's a Rover! Definitely needs some tippex graffiti. You're a bad influence; you're already giving me ideas, but sadly they'll have have to wait for the time being! byebyegti wrote: A half-finished track car??? Not much actually happened on the garage during week eight while the builders continued to focus on the alterations to the house; hence no updates last week. 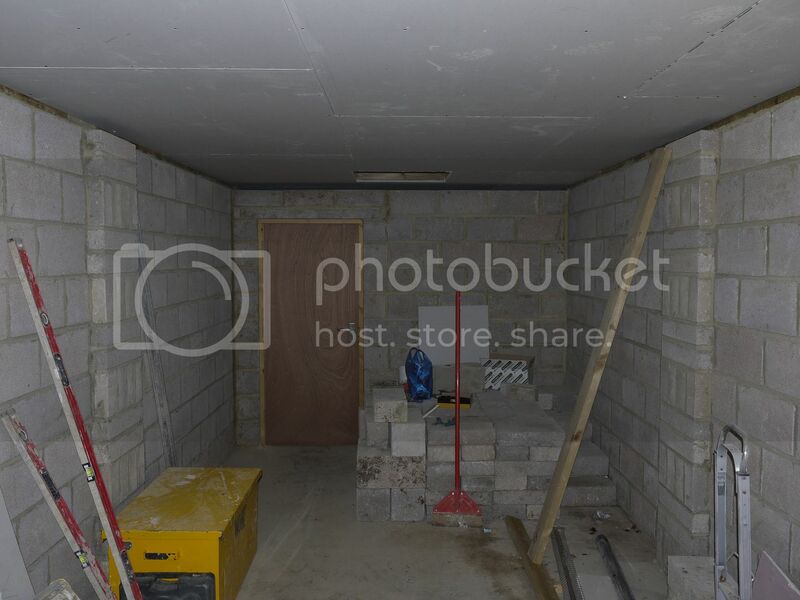 Progress on the garage this week has been mainly focussed on rendering the exterior but we have also fitted the side door and window, completed the internal wall and lined the ceiling. I've also taken a few other shots to shows the current progress. 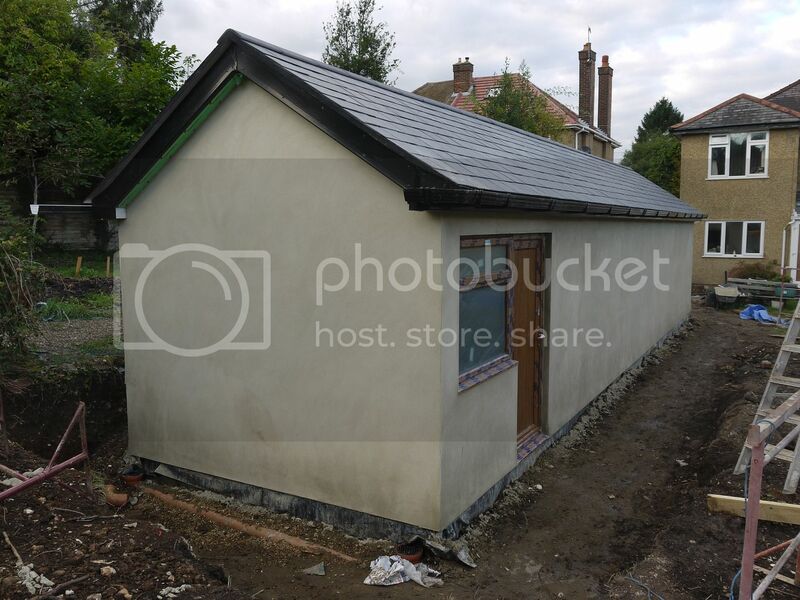 We need to wait a week for the render to fully dry before we can paint it and complete the finishing touches and I'm still waiting for the arrival of the electric garage door. Coming along nicely Tom, how wide is it internally ? Are you fitting the door yourself, Ask Jimm for help if you are, but make sure you have lights wired up if you do . It took about 1½ days to get mine done and is very straightforward (once you know what you're doing). Davva wrote: Coming along nicely Tom, how wide is it internally ? Its just shy of three metres wide internally, so the same width as Jimm's pretty much. 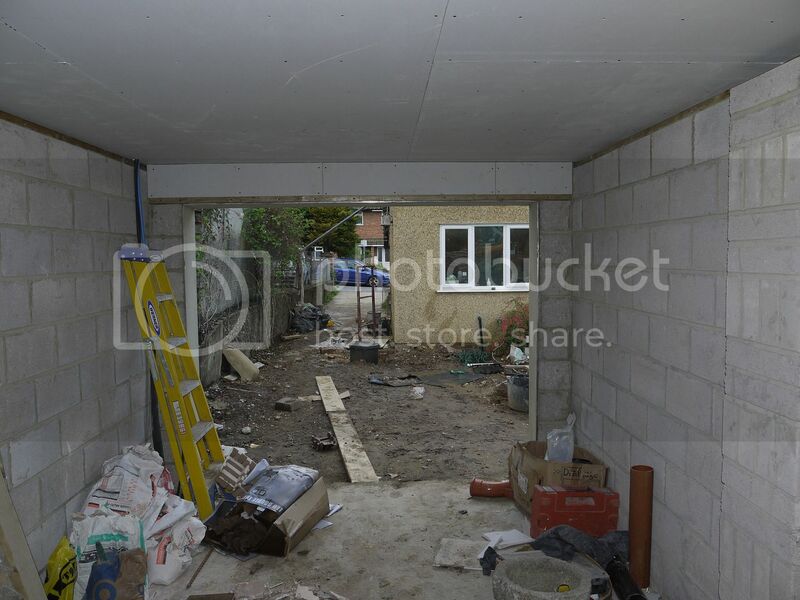 It was exactly 3m wide at the outset, but building control insisted on thicker walls and I didn't want the hassle of going back to planning to increase the external dimensions so I opted to lose a couple of centimetres off the internal dimensions to keep things progressing. Davva wrote: Are you fitting the door yourself, Ask Jimm for help if you are, but make sure you have lights wired up if you do . Nah, we paid for a full fitting service so they even come out and measure up, that way if it doesn't fit or there are problems its their problem to solve and doesn't cost us any extra. The cost of fitting was negligible in the overall cost of the door so it was a no-brainer really. 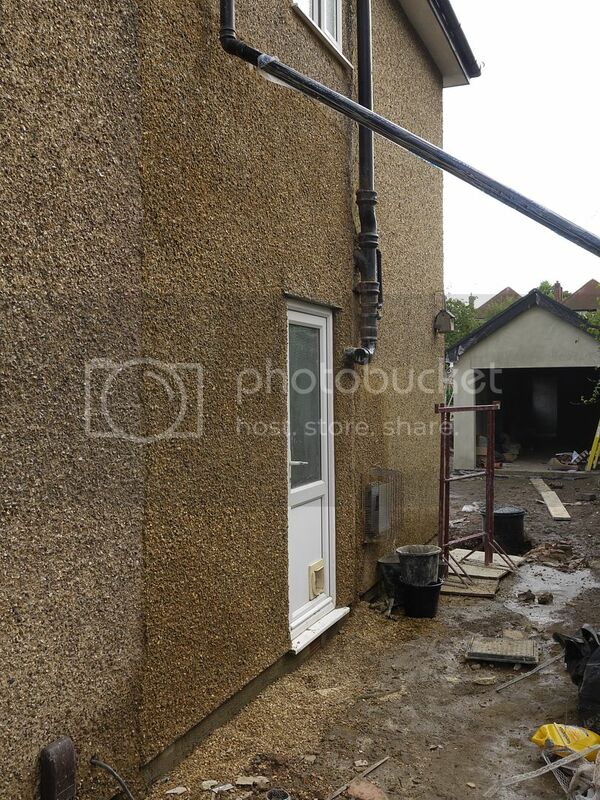 Ah yes, Steve had to get creative to keep the water off the new render scratch coat because the guttering can't be properly secured until after the render goes on. Looking very good so far! My single garage is wide enough to just work on the car but easier to work on one side at a time and move it to one side. Since I put fitted benches, shelves, and a sink unit in there it's meant that there's now no room at all for working on the coupe. I never intended to garage the car and I made the space more useful for working on motorbikes and pushbikes. With my drive being on a slope, I desperately need a good dry place to get the car in for a month to get all the wheels off, and put my new brakes and coilovers on. Maybe in the new year I'll be able to find a cheap local lock up or garage to rent for a month or two, as I'd love to be at POL in April in my Rover instead of as a spectator for the 4th time lol! Where abouts are you Stevo ? 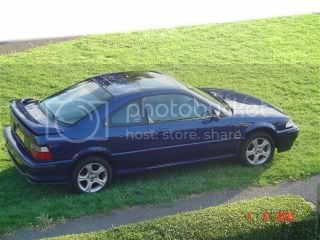 I've got to get my coupe on the road next year, it's been nearly 3years since I had it taxed I think. I reckon I'll be able to get it ready for an MOT here, and maybe get the front tyres replaced and the wheels re-furbed at the same time. It's just slightly annoying I guess as when I start work on it I'd like to do both ends at the same time, put my new suspension on, and brakes discs and pads all round. I've kind of saved up a little pot of cash from working O/T to pay for any parts and stuff I want doing cosmetically, but need to get the ball rolling and stick with it next year or it'll sit here forever, and I kind of want my garage back too, as there's stuff I cant even get to while my coupe is in there. At least it hasn't seen any salt or dirt while it's been locked up I guess. 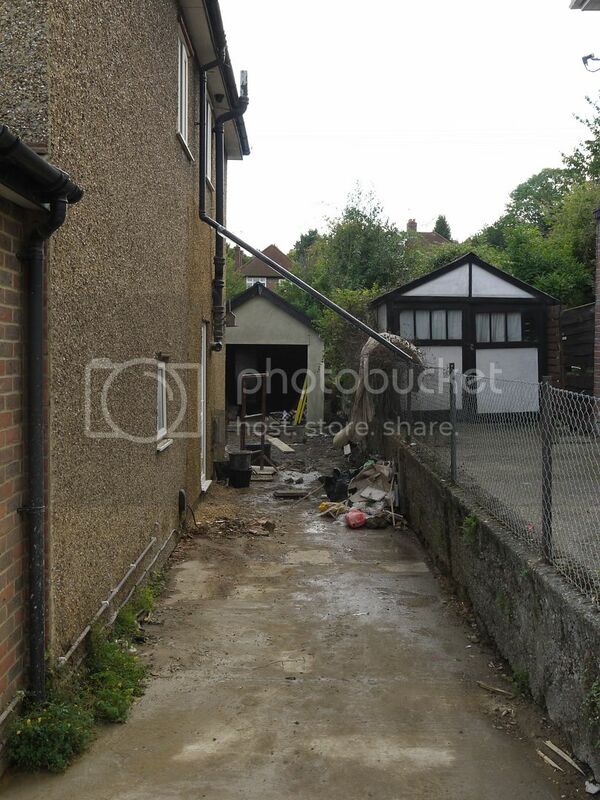 I'm hoping that I could find a cheap local lock up or garage to rent for a couple of months and sort it properly. I'm thinking change the cam belt too for piece of mind, though the engine hasn't done many miles, but been sat un started for ages! Are you having a solid path down the side off the garage to the back door or stepping stones in the grass for a softer effect so it does not feel to narrow?